A Matinée is an afternoon performance. They’ve always been a favorite of mine as an actor. Performing on two-show days can be exhausting, but well worth it in the end. 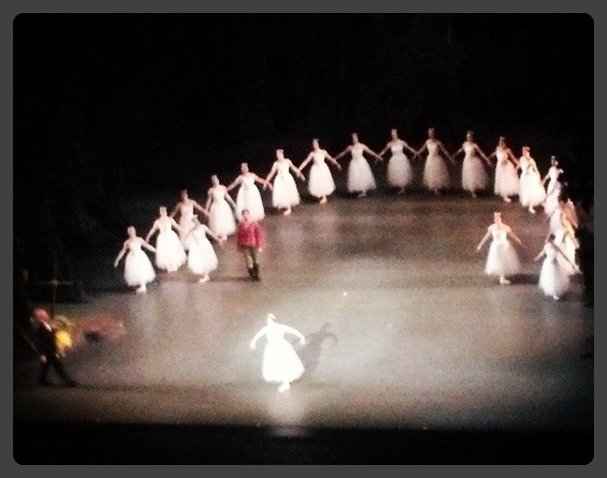 Today, I went to a 2:00 p.m. performance of Giselle. That performance just so happened to mark the NY debut of ABT soloist, Isabella Boylston in the title role. The last time I was at The Met, I saw Diana Vishneva in Manon and sat in the Family Circle–the affordable seats. Although the view is high up, I was able to view everything with perfect clarity. For a ballet, it is actually beneficial to sit high up because it makes it easier to see every variation and formation. I actually saw details that those in the orchestra or balcony seats might miss. Overall, I enjoyed my afternoon at the ballet. It was well worth the time. I am glad I finally got to see one of my favorite ballets live and in person. I’ll keep a lookout for Isabella Boylston. I wouldn’t be surprised if she is promoted to principal dancer soon.